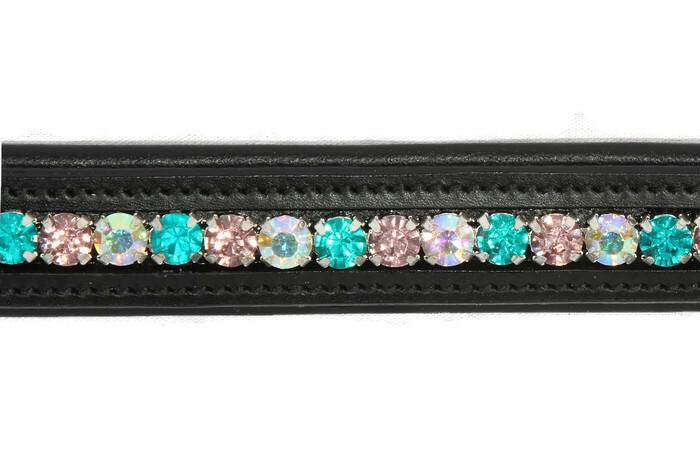 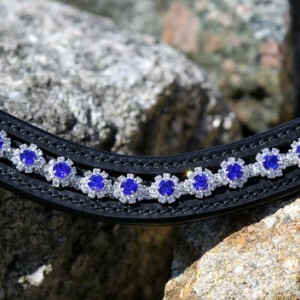 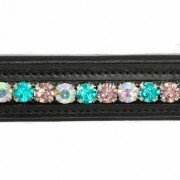 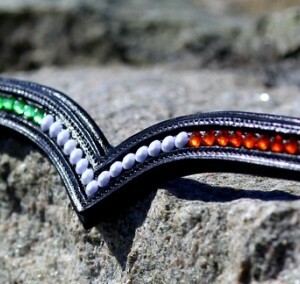 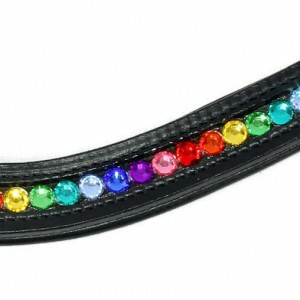 This is a beautiful bling browband made from black leather with crystal stones. 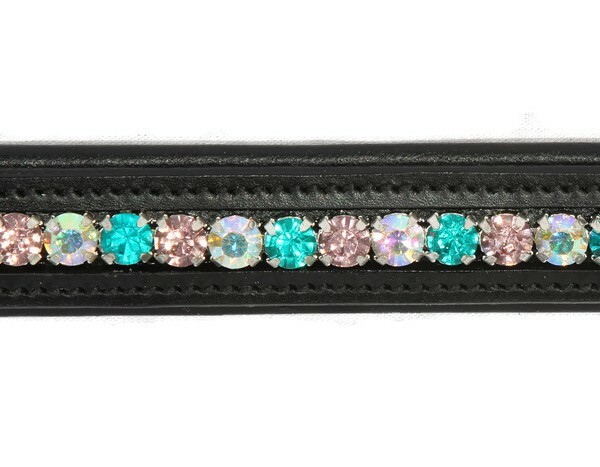 The very sparkly crystals are elegantly set in a silver cup chain for a refined look. 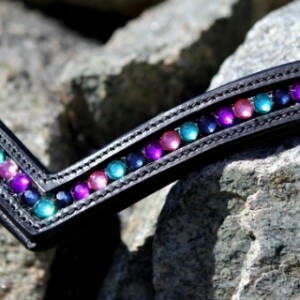 The browband is softly padded.